Auto salvage yards are an exciting place to visit if you’re a car enthusiast, a mechanic or just a vehicle owner looking for a great deal on replacement parts. 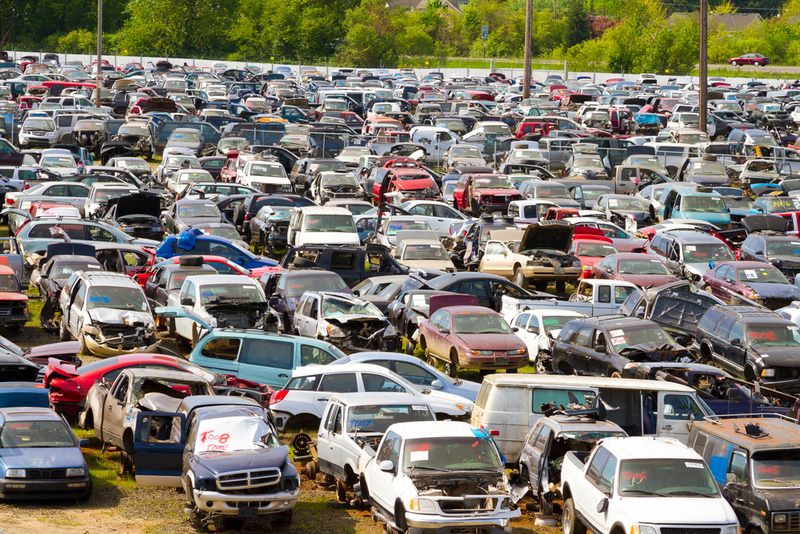 With Western Auto Wrecking, you have a local salvage yard right in your neighborhood in West Valley City. How can an auto salvage yard in benefit you? Auto salvage yards are typically classified in two ways: either you-pick or full-service. At a you-pick yard, you bring your own tools and walk the salvage yard on your own. You have to extract the parts once you find them, then take them back to the main office for an assessment and a price. At full-service yards, the employees extract all usable parts, clean them and offer them for sale within the facility. You still get them cheap, but there is a bit of an added cost for the convenience of having the parts ready to go. Regardless of the type of business you visit, you’re guaranteed to get the parts you need to make repairs for much less than you would pay for new. Vehicles are some of the most recycled items on the planet. When cars die, their individual parts can still function efficiently for years. These recycled parts deliver significant cost savings. You can get used parts to keep your current car running, or you can sell your whole used car to the junkyard. Just like you might benefit from the parts in someone else’s old car, your old car can serve the same purpose. Even if it’s only good for scrap metal, you can get paid for that aged, broken-down car sitting your driveway! Do you love fixing things? If your hobby is to tinker with an old car in your garage on the weekends, here’s how to step up your game for less: Get the parts you need at salvage yards so your hobby doesn’t cost you! Ultimately, we want your experience at Western Auto Wrecking to be memorable and fun. Whether you’d like to explore or get a quick solution from our customer service team, we are here to help. From alternators to tires, trust local salvage yards as your source of cost-effective parts and quick quotes on your junk cars. Call Western Auto Wrecking today for more information.